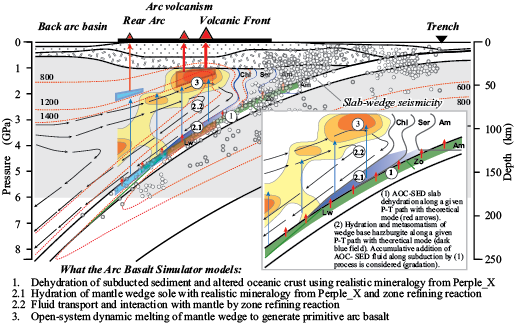 This short course is intended to help students, faculty, and researchers develop skills for mining data from EarthChem about the composition of arc lavas, visualize the location and important physical parameters of these volcanoes on GeoMapApp, and explore the petrogenesis of primitive lavas with a new Excel spreadsheet-based petrogenetic program “ABS 3” (Kimura et al., 2010). The course will comprise a variety of exercises and short lectures to explore and explain how these 3 software tools work together to address problems in convergent margin magma genesis. The course integrates use of geochemical databases, data visualization tools, and data analysis software with background knowledge about geoinformatics, relational databases, and data reporting. We will distribute ABS 3 spreadsheets and tutorials to participants before the workshop. Participants should bring a laptop to the workshop. Twenty geoscientists attending Fall AGU forsook the chance to enjoy a beautiful Sunday in San Francisco on December 4, 2011, and chose instead to descend into the bowels of the Grand Hyatt for the chance to explore how geoinformatics can help geoscientists understand the composition and generation of convergent margin magmas. 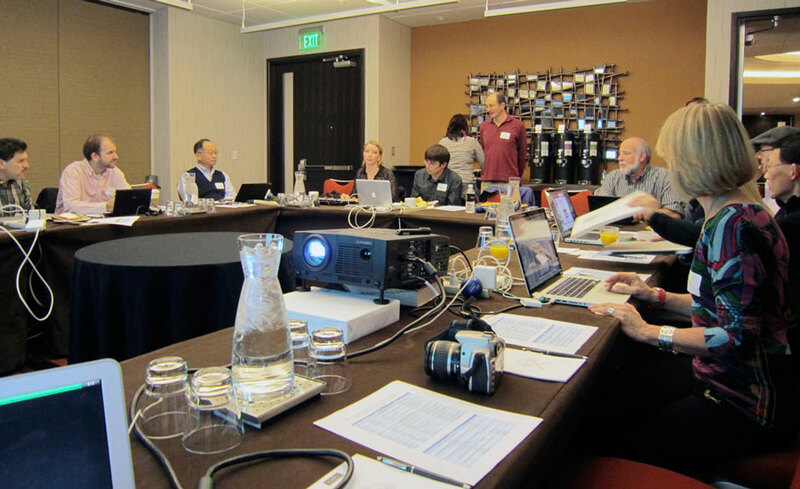 The all-day workshop was organized in support of the science goals of the GeoPRISMS Subduction Cycles and Deformation (SCD) Initiative. SCD aims to understand how subduction zones work, from cold, shallow regimes (accretionary prism, forearc crust, and the seismogenic zone) to deeper, hotter regions where fluids and melts from the subducted slab trigger melting in the convecting asthenosphere above it.